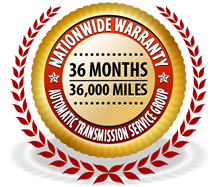 Precision Auto Repair of Chico is a member of the ATSG network’s ADVANTAGE warranty program. Our warranty program allows our customer, if they ever experience transmission issues during their one-year warranty period, to have their issue corrected free of charge. Simply bring your vehicle into one of over 3,000 ATSG member shops in the nation, and they will correct your issue and bill us for the repairs. We work hard to resolve your Chico transmission repair needs in a timely and professional manner. However, if you ever experience transmission issues during the warranty period, rest assured that we’re here to make good …even when we’re across the country.